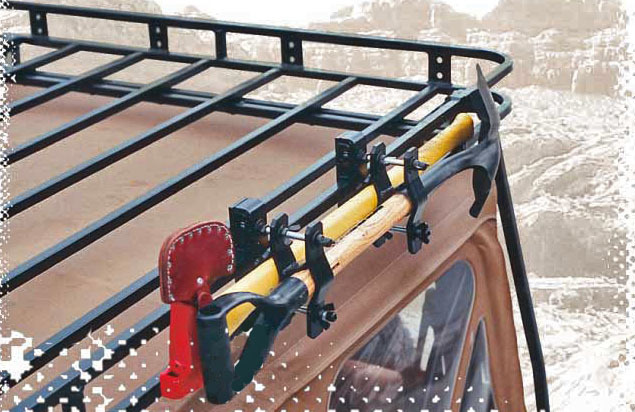 For the ultimate in cool looking and super functional racks at top quality, we offer the Garvin Wilderness System. 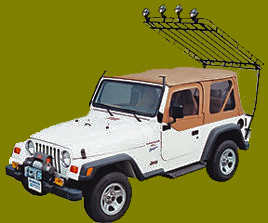 Manufactured from 3/4" HD steel tubing, these racks mount to key locations around your Jeep with reinforcing struture and brackets. For folks with hardtops, the kit also comes with a bolton rail system for super strength and cargo capacity on the fiberglass tops. 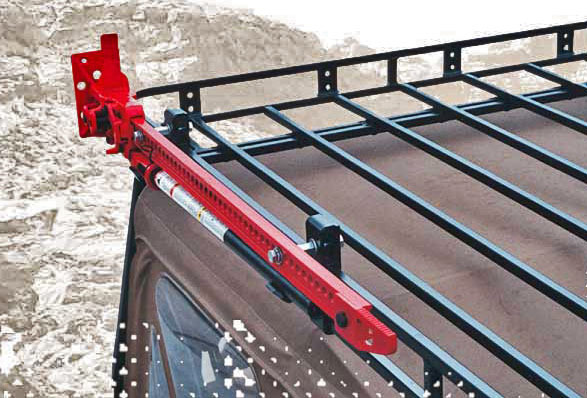 Racks tilt up to allow for top removal/installation. 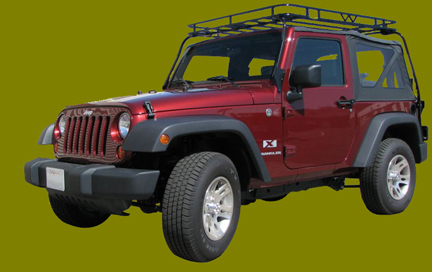 All Wilderness Racks are powdercoated black for a very durable lasting finish and are available in the versatile and low profile 4" basket height. And best of all... the systems all bolt together to make it UPSable which seriously reduces shipping costs! All Racks come with Floor kits included as shown. 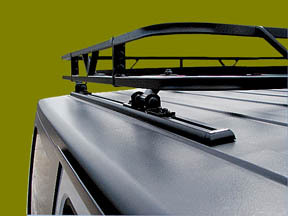 Wilderness Racks also come with a wide range of useful accessories. 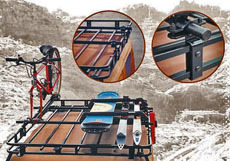 Check out the information below on the customization possibilities of your rack system. 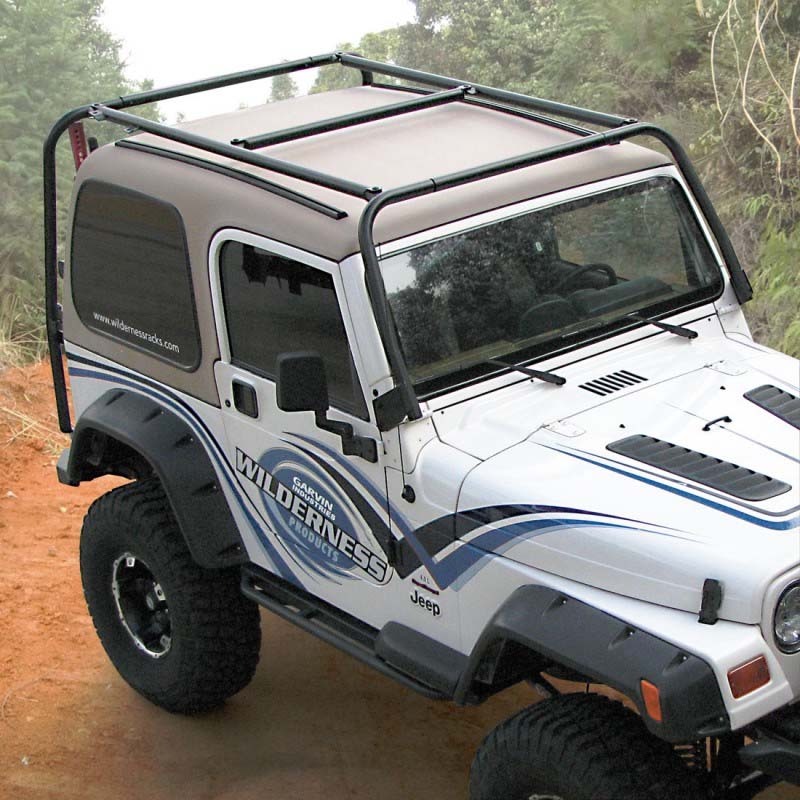 There truly is nothing else like this on the planet. 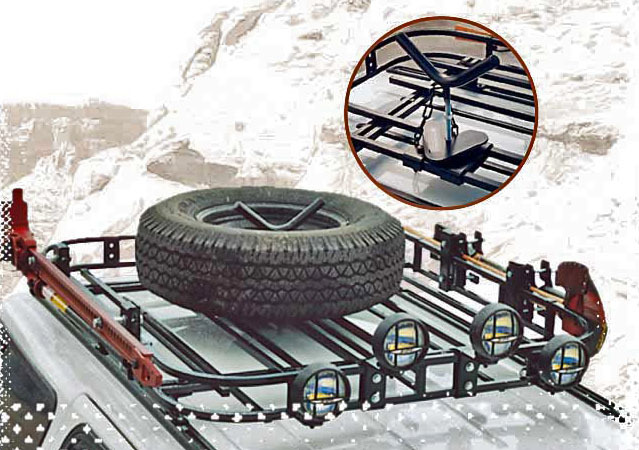 Every rack uses a double crossbar system engineered for heavy duty service and to provide support for the floor kit. 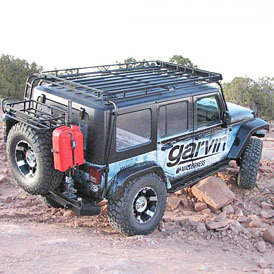 Plenty strong to load up way more than you'd ever think possible. with grade 5 zinc hardware. 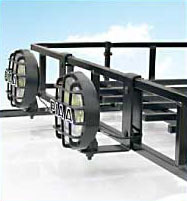 Designed to fit any light with a bottom stud mount. 4" or 6"
and don't get clobbered or chopped by it when the going gets rough and parts start moving inside your Jeep. 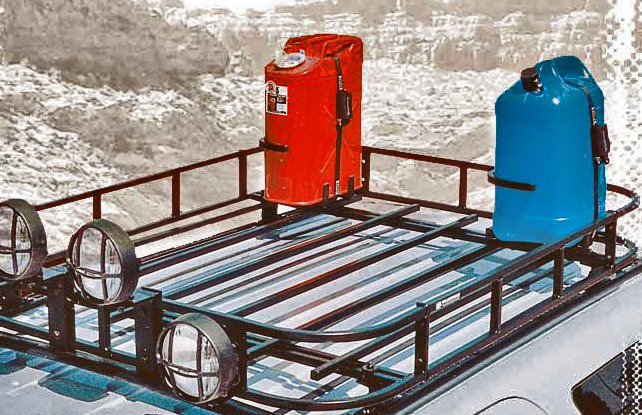 Also alows you to place a lock to secure your HiLift for duty around town and less secure environments. 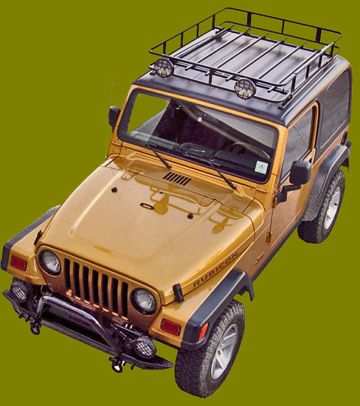 Also unique to the Wilderness rack series is the ability to mount Thule and Yakima accessories. 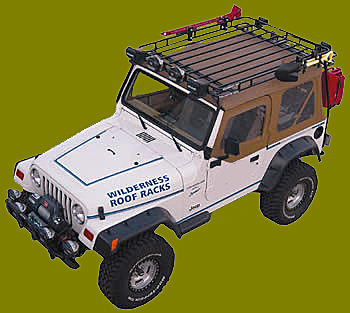 We use this system on our own Jeeps to carry our Kayaks and Mtn Bikes. 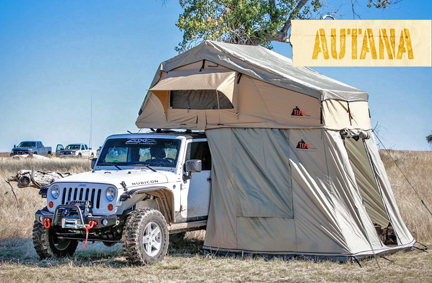 We are happy to carry the two best RTT tent kits on the market at this time in kits which will perfectly mount to your vehicle if using the Rocky Road Rails and Crossbar kits, or any Wilderness rack system... no fishing around for additional mounting pieces or scrambling to whip up your own DIY mounting setup.